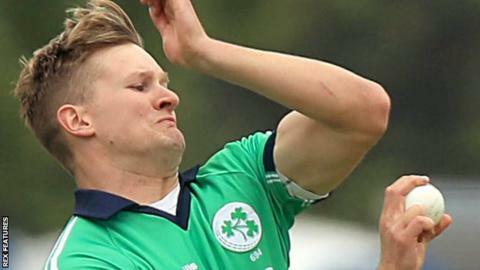 Durham seamer Barry McCarthy has left the club to concentrate on his international career with Ireland. The 26-year-old made 20 first-class appearances for the county, taking 62 wickets at an average of 30.62. But with Ireland being granted Test status, McCarthy would have become an overseas player in September 2019. "It's been an absolute pleasure to be part of such an amazing club for the past four years and I will certainly miss it," McCarthy said. McCarthy has played 23 one-day internationals for his country, but did not feature in their first and only Test match so far against Pakistan in May. Ireland face England in a one-off Test in July 2019 at Lord's. Meanwhile, batsman Gareth Harte, 25, and spinner Ben Whitehead, 21, have signed new two-year deals with Durham.